Highest quality keyboard flight cases, designed and manufactured to store, transport and protect a range of keyboard models. Choosing a keyboard flight case has never been simpler. 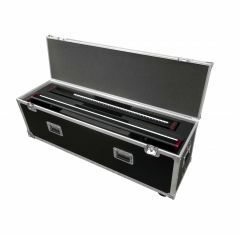 Absolute Casing is the specialist in the manufacturing of keyboard cases to keep your instruments safe when in transit. So don’t hesitate to check out our extensive range of products today! Our keyboard travel cases are priced affordably to cater for an array of budgets and requirements. The keyboard travel case is designed to offer protection and professionalism, providing a secure, stylish way to carry your musical instruments to venues. The keyboard flight case has proven popular with musicians worldwide, making the most of the cases practicality and stylish design. As with any of our products, you can expect the keyboard case to be manufactured and designed to suit exact standards, however, if you need something a little more specific, why not check out our bespoke flight cases? When it comes to finding a suitable solution for storing your keyboard or transporting it safely, you cannot beat the keyboard flight cases from Absolute Casing! We can also provide you with extra’s like custom insert fittings to enhance the stability of your musical instruments. A keyboard case is built to last- can you afford to miss out? If you can’t find what you’re looking for, your model hasn’t been included or want a bespoke keyboard case, call us on 01635 579518.